Councilman Bob Weiner has scheduled a community meeting for representatives of Incyte to detail their plans. The meeting will be held 7 p.m. Aug. 20 in the Brandywine Town Center at 4050 Brandywine Parkway. Incyte Corp., the pharmaceutical company that brought about 600 jobs into the old Wanamaker building last fall, has filed plans for another office building on the site that could add 400 workers. The company submitted plans this week to New Castle County for a 154,000-square-foot, four-story office building and 473-space parking garage to be built next to its existing 180,000 square-foot office near Augustine Cut-Off. Michael Booth, vice president for Investor Relations, said the plan is not final and other options for expansion are also being considered. The company is negotiating with the property owner about the expansion. 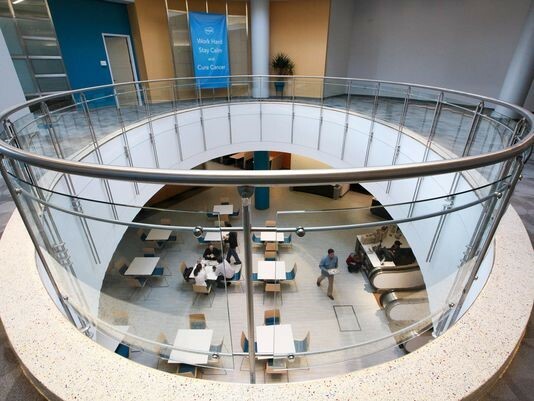 Incyte and land-owner Louis J. Capano Jr. last year completed a $35 million renovation of the company’s current headquarters, which was a John Wanamaker department store. Prior to moving to its current location, the company had leased space at DuPont Co.’s Experimental Station near Alapocas since 2003. Booth said some of the jobs will be consolidated from a separate office but the “vast majority” would be new hires. The company employs about 600 in New Castle County with annual salaries averaging about $125,000. “These are high-value, high-skill positions that attract applicants locally and from all over the U.S., and around the world. Incyte wants its global [headquarters] to remain in Wilmington, but we have already reached capacity in our current building at 1801 Augustine Cut-Off,” Booth said in an email. Incyte was founded in Palo Alto, California, in 1991, focusing on genomics. The company went public in 1993. Today, the company’s focus is developing new cancer treatments. The company has one Food and Drug Administration approved product for treating rare blood cancers, Jakafi. The company has added about 200 jobs in recent years and in April announced plans for a new European headquarters in Geneva, Switzerland. Booth said the company will have about 20 employees at its overseas location. Booth said the earliest any new construction could take place in New Castle County would be 2016 and build-out would take 18 to 24 months. The company has an $11 million package of economic development grants from Delaware. Incyte’s current headquarters is known to many locally as the Wanamakers department store building, originally built in 1950. Before Incyte, the property had been vacant since 2008 when the previous tenant, Accenture, a consulting, technology and outsourcing services company, moved out.